MIDDLETON/MCFARLAND-Bernice Agnes Hutter, age 88, of Middleton and McFarland, passed away on Friday, Dec. 21, 2018, at McFarland Villa. 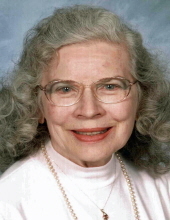 She was born on Oct. 17, 1930, in the Town of Franklin, the daughter of Vincent and Evelyn (Volk) Hutter. Bernice was a member of St. Bernard Catholic Church in Middleton and volunteered for church dinners and at the Middleton Senior Center. She enjoyed shopping and a lifelong passion of collecting Hummels. Bernice could be seen walking all around the Middleton area. Bernice is survived by her sister, Joan (Fred) Schoepp; and many beloved nieces and nephews. She was preceded in death by her parents; and sister, Camilla Engelberger. A Mass of Christian Burial will be held at ST. BERNARD CATHOLIC CHURCH, 7450 University Ave., Middleton, at 11 a.m. on Friday, Dec. 28, 2018. Burial will be held at St. Bernard Catholic Cemetery. Visitation will be held at the church from 10 a.m. until the time of the Mass on Friday. The family would like to thank Bernice’s niece, Jenni Haight and the folks at McFarland Villa and Heartland Hospice for their loving care of Bernice. Online condolences may be made at www.gundersonfh.com. "Email Address" would like to share the life celebration of Bernice Agnes Hutter. Click on the "link" to go to share a favorite memory or leave a condolence message for the family.